Fletcher the Frog Puppet by Aurora. 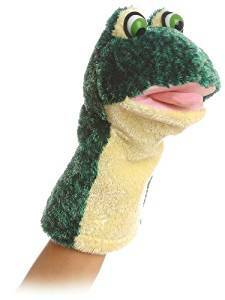 He is a soft plush big mouth hand puppet approximately10". Great moving mouth and ready for lots of fun!